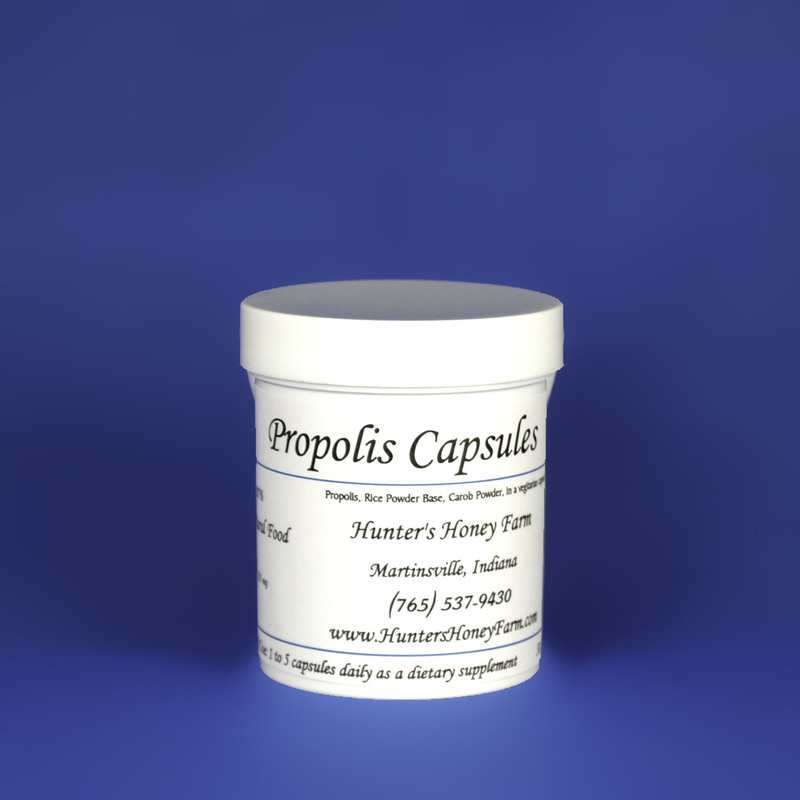 Home / Propolis / Propolis Capsules 50 ct.
Propolis contains 7.5% to 3.5% waxes, 10% Volatile oils, 5% pollen, 3%-10% fatty acids, 4%-19% other compounds. 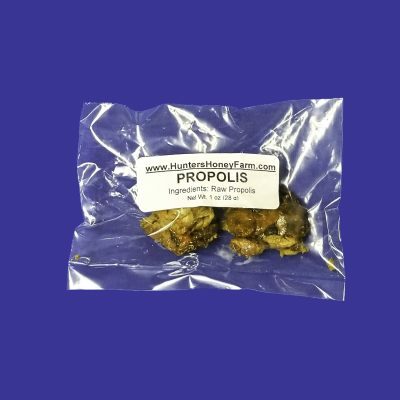 There have also been over 80 different chemical compounds of Propolis. There were several vitamins and minerals such as B1, B2, B6, C, E, Magnesium, Zinc, Iron, Calcium, and Copper. There were many different flavonoids found within these compounds as well. 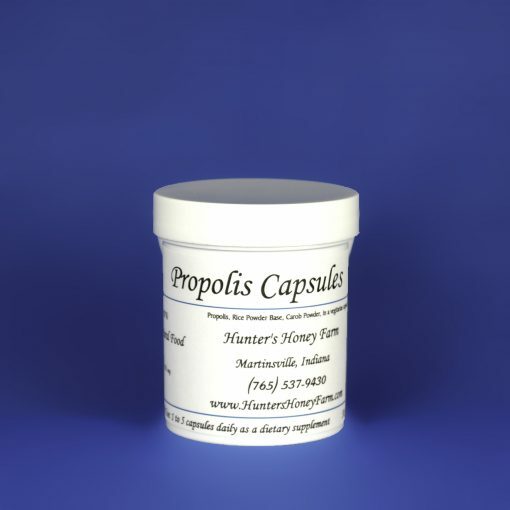 It has many health benefits such as improving immunity to colds, viruses, and sore throats, as well as fever and inflammation.